The program committee is pleased to announce some preliminary program details. The following Lawrence scholars have been selected to deliver keynote speeches at the upcoming Lawrence conference in Italy. 1. Carol Siegel will deliver the Mark Spilka Lecture. She is Professor of English at Washington State University and author of Lawrence Among the Women: Wavering Boundaries in Women's Literary Traditions (1991). 2. Neil Roberts is Emeritus Professor of English at the University of Sheffield and author of D.H. Lawrence: Travel and Cultural Difference (2004). 3. Judith Ruderman is Retired Vice Provost/Adjunct Professor of English and current Visiting Professor at Duke University. She is author of D.H. Lawrence and the Devouring Mother (1984) and the forthcoming Race and Identity in D.H. Lawrence: Indians, Gypsies, and Jews (March 2014). Simonetta de Filippis is Professor of English at Università degli Studi di Napoli L'Orientale and editor of D.H. Lawrence and Literary Genres (2004). Jill Franks is Professor of English at Austin Peay State University and author of Revisionist Resurrection Mythologies: A Study of D.H. Lawrence's Italian Works(1994). We hope this announcement will encourage you to submit paper proposals. See the Society website for CFP (deadline November 15, 2013). A draft program schedule will be posted soon. 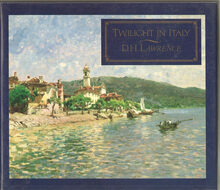 From "On the Lago Di Garda: The Spinner and the Monks" in "Twilight in Italy" by D.H.L. "But the Church of San Tommaso perched over the village. Coming down the cobbled, submerged street, many a time I looked up between the houses and saw the thin old church standing above in the light, as if it perched on the house-roofs. Its thin grey neck was held up stiffly, beyond was a vision of dark foliage, and the high hillside. I saw it often, and yet for a long time it never occurred to me that it actually existed. It was like a vision. . . . So I set out to find it. . . . It always remains to me that San Tommaso and its terrace hang suspended above the village, like the lowest step of heaven, of Jacob's ladder. Behind, the land rises in a high sweep. 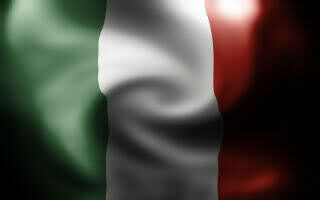 But the terrace of San Tommaso is let down from heaven, and does not touch the earth."